This is an introduction to DNS poisoning which also includes an example of quite a nifty application of it using the IP Experiment. It’s purely educational, so I’m not responsible for how you use the information in it. You’re free do redistribute this tutorial wherever you like, but please keep it in its original form and credit me. Note that this is a more advanced topic; don’t try this if you don’t know what you’re doing. 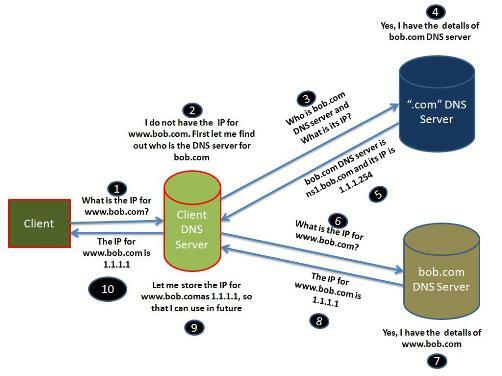 Part 1 – Why DNS? The DNS provides a way for computers to translate the domain names we see to the physical IPs they represent. When you load a webpage, your browser will ask its DNS server for the IP of the host you requested, and the server will respond. Your browser will then request the webpage from the server with the IP address that the DNS server supplied. So if we want to send clients to a malicious web server, first we need to tell them its IP, and so we need to set up a malicious DNS server. To install dnsmasq on Ubuntu, run sudo apt-get install dnsmasq, or on other distributions of Linux, use the appropriate package manager. You probably already have a web server installed. If not, install apache. This is pretty basic, so I won’t cover it here. Another alternative is to set up some sort of transparent proxy which logs all activity. I might come back to this in the future. Part 4 – I Can Be Ur DNS Server Plz? Okay, so now you’ve got a DNS server pointing clients to your malicious server. But no one’s going to listen to it, because it’s not anyone’s DNS server. You need to set your victim to use your malicious server as its DNS server. If you can access their router settings, this can normally be set. Normally there are two DNS servers specified; change one of them to the IP of your malicious DNS server, hit enter and voila! Now just wait for your victim to browse to the spoofed website and you’ll have fun playing with their data! If you don’t know, the IP Experiment basically harvests people’s IPs through websites such as forums and scans them for open ports. A surprising number of these IPs have port 80 open and more often that not, that leads straight to a router configuration mini-site. ‘Admin’ and ‘password’ will get you far in life; its fairly easy to login and change the DNS settings, and BOOM. You have a victim!